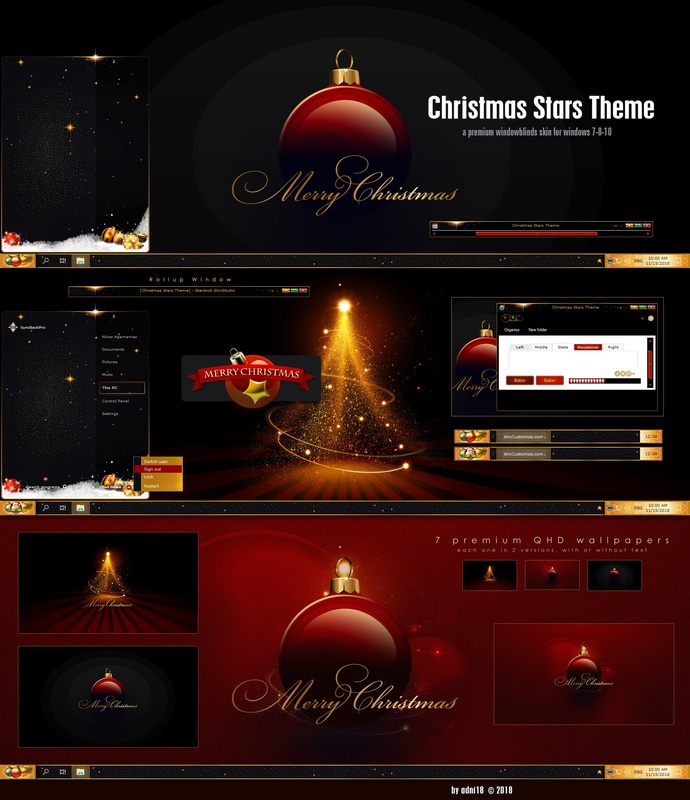 This full featured Christmas Theme can be used with Windows 7, 8 and 10. WindowBlinds and Start 10 are required for apply it to your computer. The Windowblinds skin and 7 QHD Premium Christmas Wallpapers. Rollup-Down Window option instructions included. Thank you Tom and Vicki! Love it Nikose, it's beautiful! Very nice wb & love the wallpapers! Awesome and yes a must have. Thank you all, I am glad you like it! VERY NICELY DONE SANTA! MAY YOUR KIND WORK FOR THE HOLIDAYS RETURN TO YOU TENFOLD. HAPPY HOLIDAYS AND A HAPPY NEW YEAR TO YOU AND YOURS! You're a looser, find somewhere else to troll! I am glad you like it! Thank you! I'm stunned. Quite possible your best and that's a huge claim. Very elegant and professional. no good = $5.95 You're a looser, find somewhere else to troll!